Get Booked. Get Featured. Be Heard. Showcase your strongest assets to the music industry with a customizable EPK. EPK's are one of the most professional tools to showcase your talents to the music industry. ReverbNation's EPK is highly customizable and helps you target venues, promoters, and press. 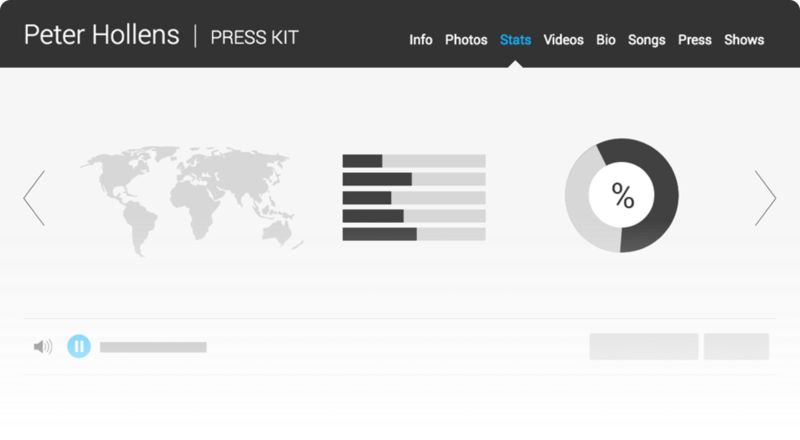 In just a few clicks you can configure your EPK with your stats and content and send it off. Promoters, talent buyers, and booking agents often review dozens, if not hundreds, of new Artists every day. 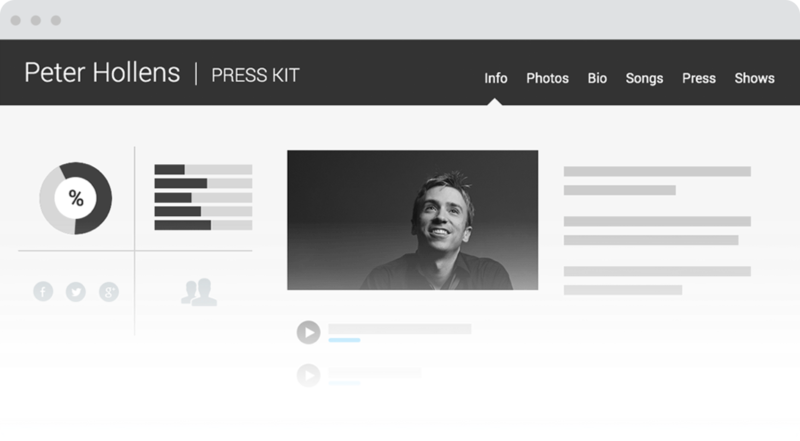 With the Electronic Press Kit (EPK), you can make sure that your first impression is a lasting one. Configure your EPK with just a few clicks and your songs, videos, and stories will be tailored to each opportunity or gig submission. Use Gig Finder to locate and connect with venues worldwide or send your RPK to as many email contacts as you’d like. I've gotten a great response. I'm impressed with the number of gigs I've already booked with [ReverbNation's Electronic press Kit]. They look great, and I feel good having them represent me out in the world. Advanced tracking shows you who opened your EPK, what songs they’ve played, where they’re from and more. You’ll learn what content works and what you can improve.